Today I decided to give my sheepskins a much needed makeover. I’ve had these sheepskins for quite awhile and they’ve started to yellow and mat as sheepskins will do over time. 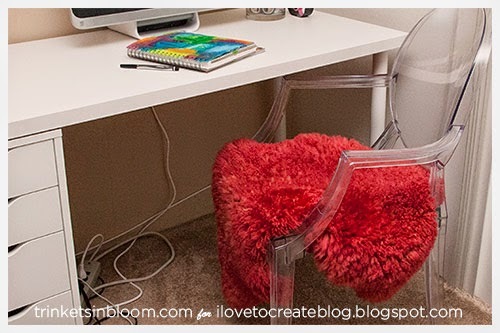 To make these DIY Dyed Sheepskins I’ve used Tulip’s Liquid Dye to add bright color to my sheepskins and a pop of color to my office. 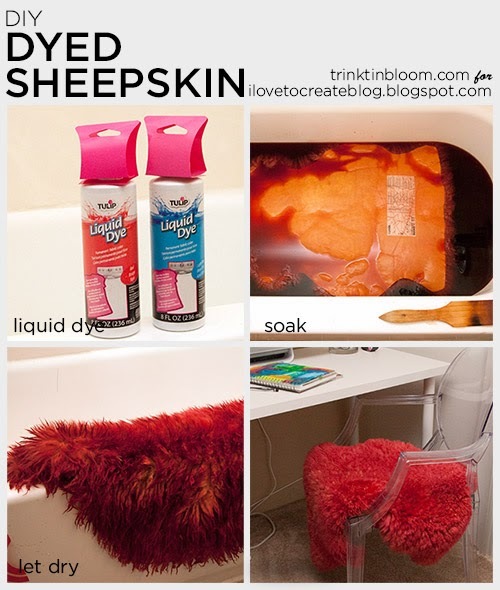 It’s super easy to do and for less than $10 you can give your old sheepskins a makeover with this all in one dye you can use in your tub. I used my tub to dye this. Since I’m dying sheepskins I don’t want them to felt, so the washer isn’t a good choice because of the agitation. Fill your tub or a large pot with hot water. 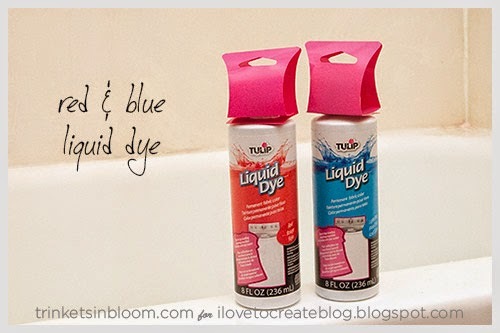 Shake the bottle of dye really well before adding it to the water. I used 1 bottle of red and about half a bottle of the light blue. Add your sheepskin to the water, pressing it down into the water. You don’t want to move it around too much in the water to keep it from matting. I let mine sit in the water for about 5 hours. The longer you let it sit the stronger the color will be. 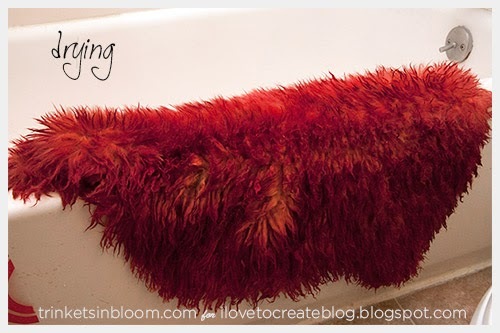 When you’re ready to rinse, drain the water and add clean water, rolling and gently squeezing the sheepskin to get rid of the excess water. You can either hang it and let it dry or you can put it in the dryer on low, just keep an eye on it. You can also use a hairdryer to dry it. I did this and brushed it at the same time. 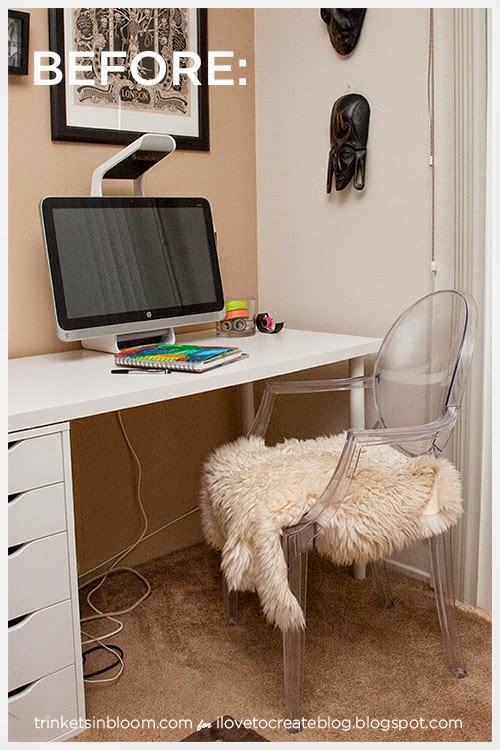 After your sheepskin is dry you’ll want to brush it to fluff it up again. "Pin" this image to make it later! 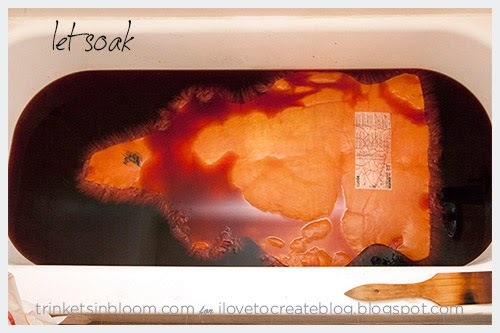 To see more fab fashion DIY’s check out my blog Trinkets in Bloom. Cathy, I LOVE this !! Anne thank you so much!!!! 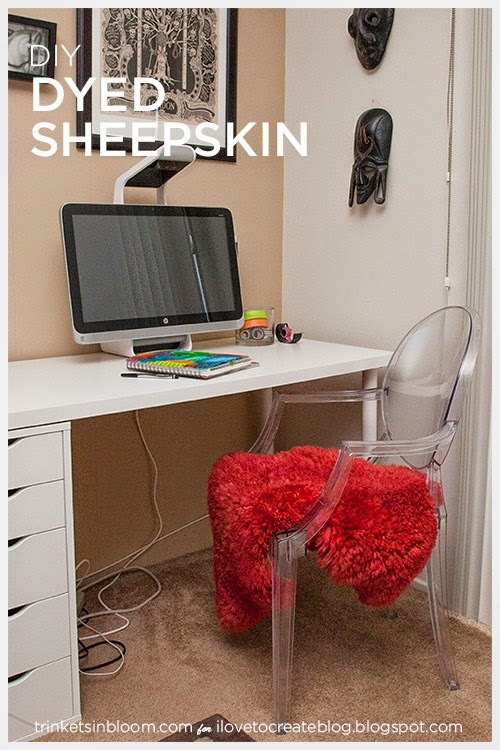 Please don't use "real" sheepskin. Thinking of ther curelty some of them suffer because people like their fiber or fur - it just isn't worth it.